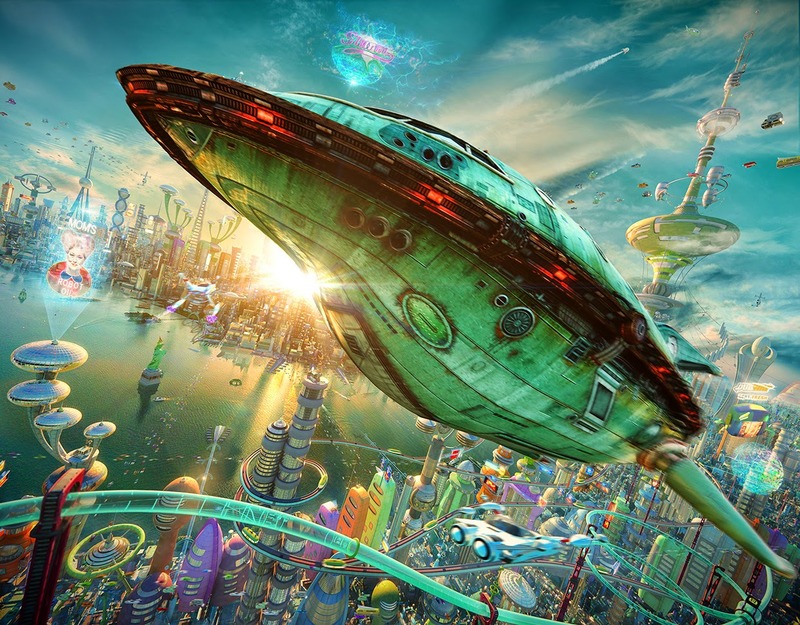 Futurama 3d (test shot) from seccovan on Vimeo. This is a very beautiful, albeit brief, animation. It is a fan animation that artist Alexey Zakharov created. 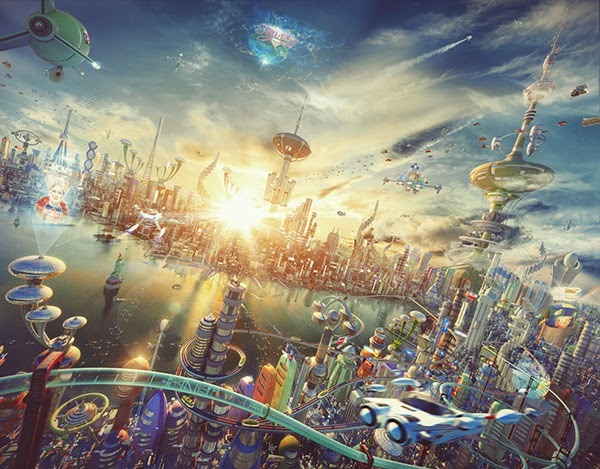 It is the New New York of Futurama in 3D. 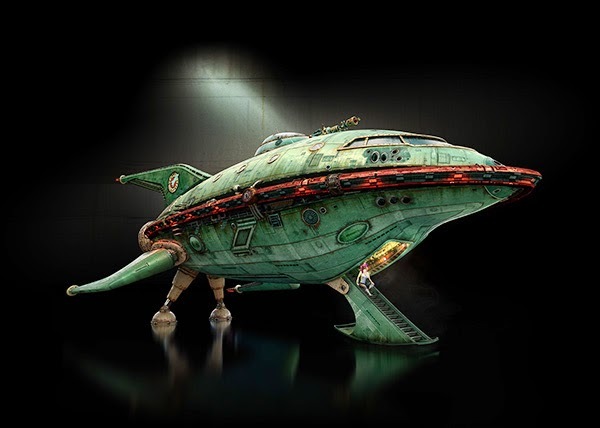 It even includes the Planet Express ship. None of the characters - Fry, Leela, Bender and the Planet Express crew - appear. 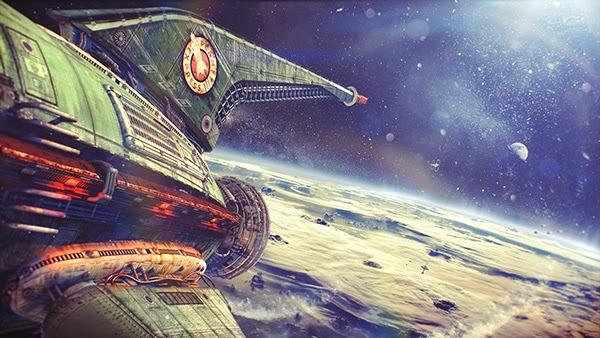 Here is an animation from the same artist of just the spaceship. 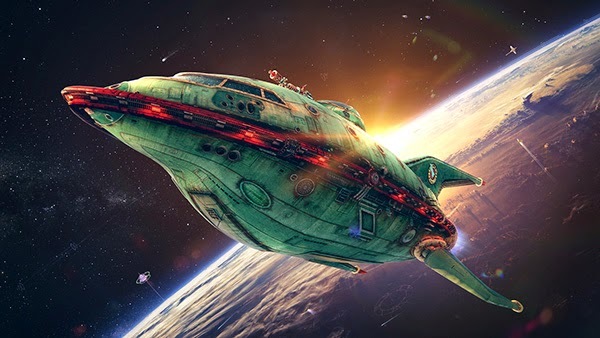 Futurama Planet Express ship from seccovan on Vimeo. Over on the left, a “Mom’s Friendly Robot Oil” billboard gives an idea of what ‘Futurama’ characters might look like in real life.